In the 2007-08 Policy Address, the Chief Executive announced the establishment of a cross-sector working group headed by the Secretary for Justice to map out plans to employ mediation more extensively and effectively in handling higher-end commercial disputes and relatively small scale local disputes. The Working Group made 48 recommendations covering three important areas of regulatory framework, training and accreditation, and publicity and public education. Members of the public were invited to send comments and views on the findings and the recommendations in the Report during the 3 months' public consultation period. We received positive and constructive feedback on the 48 recommendations. The Working Group in its Report recommended that Hong Kong should have legislation on mediation, which should be aimed at providing a proper legal framework for the conduct of mediation in Hong Kong. However, the legislation should not hamper the flexibility of the mediation process. There was overwhelming support during the public consultation for the enactment of a Mediation Ordinance. With the advice of the Mediation Ordinance Group of the Task Force, we prepared a draft Mediation Bill and conducted two consultation sessions with stakeholders on the draft Mediation Bill in late June 2011. The Mediation Bill was introduced into the Legislative Council on 30 November 2011. A Bills Committee was formed by the Council to study the Bill. The Bills Committee held seven meetings to study the Bill and received views from 32 deputations at one of its meetings. Please click here to read the Report of the Bills Committee which sets out the deliberations of the Bills Committee. The Mediation Ordinance (Cap. 620) was enacted in June 2012 and came into operation on 1 January 2013. The Mediation Ordinance provides a regulatory framework for the conduct of mediation in Hong Kong without hampering the flexibility of the mediation process. Its objects are to promote, encourage and facilitate the resolution of disputes by mediation, and to protect the confidential nature of mediation communications (section 3). It also defines the meaning of mediation (section 4), mediator and mediation communication (section 2). Please click here to read the text of the Mediation Ordinance. After two rounds of public consultation in 2015 and 2016 (see consultation documents here), the Government introduced the Apology Bill into the Legislative Council in January 2017. The Bills Committee formed to study the Apology Bill held 6 meetings and received views from 11 deputations at one of the meetings (see the documents of the Bills Committee on Apology Bill here). The Apology Ordinance (Cap. 631) was enacted in July 2017 and came into operation on 1 December 2017. The objective of the Apology Ordinance is to promote and encourage the making of apologies with a view to preventing the escalation of disputes and facilitating their amicable resolution. It provides, amongst other matters, that in most civil proceedings an apology does not constitute an express or implied admission of fault or liability (section 7(1)(a)), must not be taken into account in determining fault, liability or any other issue to the prejudice of the apology maker (section 7(1)(b)), and is generally not admissible as evidence for determining fault, liability or any other issue to the prejudice of the apology maker (section 8). It also provides that an apology made by a person in connection with a matter does not avoid or otherwise affect any insurance cover, compensation or other form of benefit for any person in connection with the matter under a contract of insurance or indemnity (section 10) and does not constitute an acknowledgement within the meaning of the Limitation Ordinance (Cap. 347) (section 9). For the purposes of the Apology Ordinance, an apology made by a person in connection with a matter means an expression of the person’s regret, sympathy or benevolence in connection with the matter, and includes an expression that the person is sorry about the matter. An apology may be oral, written or by conduct and includes any part of the expression that is an express or implied admission of the person’s fault or liability in connection with the matter or a statement of fact in connection with the matter (section 4). At present, accredited mediators practicing in Hong Kong are accredited by different mediation accrediting organisations, local and overseas alike, each adopting its own set of training and accreditation requirements. In early 2010, the Hong Kong Mediation Code (the Code) was promulgated by the Working Group. The Code is intended to provide a common standard among mediators and to serve an important quality assurance function. A number of mediation service providers have already adopted the Code. We will continue to work with relevant stakeholders to oversee the adoption and implementation of the Code and to review the operation in the light of experience. The Working Group in its Report also recommended that the establishment of a single accreditation body would be desirable and could assist in ensuring the quality of mediators, consistency of standards, education of the public about mediation and mediators, enhancing public confidence in mediation services, and maintaining the credibility of mediation. Nonetheless, it noted that the time was not right to prescribe a standardized system of accrediting mediators, and the emphasis should be on the provision of appropriate mediation information to potential users of mediation that would enable them to decide whether to choose mediation to resolve disputes and also assist them to be better able to choose competent mediators. The Report recommended that the possibility for establishing such a body be reviewed in five years. The majority of the submissions received in the public consultation expressed that a single accreditation body should be set up as soon as possible. As there are a number of mediation service providers in Hong Kong, local and overseas alike, it is important for the major service providers to work together on the formation of an accreditation body and to agree on mutually acceptable professional standards, including training standards. The Task Force considered that a non-statutory industry-led single accreditation body should be supported. The Accreditation Group of the Task Force has deliberated on the setting up of such an industry-led accreditation body, which will become the premier accreditation body for mediators in Hong Kong responsible for accreditation and dealing with disciplinary matters. 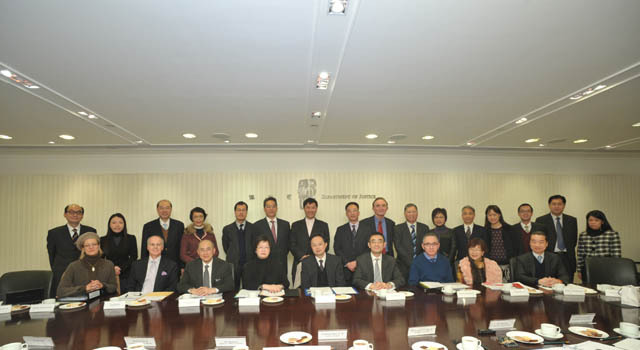 This single accreditation body, by the name of Hong Kong Mediation Accreditation Association Limited, HKMAAL for short, was incorporated in the form of a company limited by guarantee on 28 August 2012 with the Hong Kong Bar Association, the Law Society of Hong Kong, the Hong Kong International Arbitration Centre, and the Hong Kong Mediation Centre as the founder members. Following its incorporation, representatives of the founder members of HKMAAL conducted a briefing of its objectives and functions on 11 October 2012 for stakeholders which was attended by almost 60 representatives of the stakeholders. We will continue to work with HKMAAL and mediation stakeholders to keep in view the development of the system of accrediting mediators. There was general support for the Working Group's recommendations in respect of public education and publicity of mediation in Hong Kong. We recognise that successful public education and publicity require the concerted efforts of all stakeholders. In this regard, there was much support for the Pilot Project on Community Venues for Mediation to continue. This Pilot Project was started in 2009 with the objectives to identify suitable venues for mediation available at very low or no cost; to promote such venues to mediators; to co-ordinate the usage of such venues; and to collect statistics on such usage. Currently, with the support of the Yau Tsim Mong District Council and the Wan Chai District Council, designated time slots are reserved in two community centres (the Henry G Leong Yaumatei Community Centre and Leighton Hill Community Hall) for the use of mediators. We will monitor the usage statistics and users' feedback closely with a view to assessing how best to support the further development of mediation. A "Mediate First" Pledge campaign was launched in May 2009, with more than 100 companies and trade organisations pledging to consider the use of mediation first before resorting to other means of dispute resolution. The “Mediate First” Pledge (the Pledge) is a statement of policy aimed at encouraging greater use of mediation as a flexible, creative and constructive approach in resolving commercial disputes. In the absence of dispute resolution provisions in the contract, the Pledge articulates the intent of the disputants to resolve conflicts in amicable and constructive ways that produce mutually-determined resolutions while controlling risks, expenditures and time consumed. Companies and trade organizations can rely on their adherence to the Pledge as a policy favouring appropriate use of interest-based negotiation and mediation. Signing the Pledge signifies the willingness to approach the resolution of disputes by mediation before pursuing litigation. Companies, organizations and associations can show their support to first explore the use of mediation to resolve disputes by filling out and submitting the "Mediate First" Pledge to the DoJ Mediation Team via the link below. Production of an Announcement in the Public Interest (API) for the promotion of mediation - The API on TV and on the radio was broadcasted in 2014. Please click here for the API. The second Mediation in Hong Kong Conference in 2012 - After the first successful one held jointly with other relevant stakeholders in December 2007, the second Mediation in Hong Kong Conference entitled “Mediate First” Conference was held on 11 and 12 May 2012 at the Hong Kong Convention and Exhibition Centre. It was jointly organized by the Department of Justice, Hong Kong International Arbitration Centre and The Hong Kong Mediation Council with the support of the Judiciary. The two-day conference aimed to raise public awareness of mediation and provide an opportunity for overseas and local mediation experts to share their experiences. It was well received and was attended by more than 250 speakers and participants on each day. Please click here for the Opening Remarks by the Secretary for Justice on the first day of the conference. To further foster the development of mediation in Hong Kong, the Secretary for Justice has set up a new Steering Committee on Mediation, comprising members from different sectors of the community including legal professionals, medical practitioners, academics, administrators and social workers. The Steering Committee is assisted by the Regulatory Framework Sub-committee, the Accreditation Sub-committee and the Public Education and Publicity Sub-committee. Please click here for the Terms of Reference and Membership of the Steering Committee.